Rotherham manufacturer, AESSEAL, has launched a completely re-engineered modular component seal range that aims to raise the industry standard and allow configurable component seals to be built to order. With global headquarters at Templeborough, AESSEAL manufactures seals to stop leakage of harmful liquids and gases into the environment for a wide range of industries, including oil and gas, food, water, mining and pharmaceuticals. 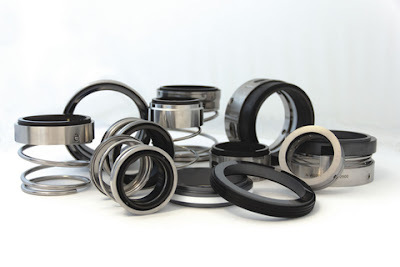 Seals include cartridge seals - a pre-assembled, self-contained mechanical seal, and component seals - fully configurable mechanical seals made from a range of components. AESSEAL has 10,000 product lines available from stock and are experts in customisation, manufacturing 44,000 product variations. The new range supports the company purpose statement - "to give our customers such exceptional service that they need never consider alternative sources of supply." The new range, in development for almost four years, incorporates unique patented features which help to improve pump reliability. These features include; improved seal face cooling through directed barrier fluid flow systems, hydraulically balanced seal face technology and "plug in" designs to improve performance and reliability. By manufacturing the majority of the parts themselves, and having full control of the supply chain, AESSEAL can offer a portfolio of seals that meet the hygiene standards of customers in the food sector. Incorporating a build to order philosophy, the new range offers a larger selection of product variants, and standard product lines can be easily adapted to suit the customer's requirements. The new product range is further supported by a new application that enables an equivalent AESSEAL component seal to easily be selected knowing just the pump type, competitor seal reference, or dimensional information. Tom Broadbent, project manager at AESSEAL, said: "It has been a huge undertaking that not many companies would take on, but we now have the same modular build to order business model in our component seal range portion of our business as our cartridge seals, allowing us to have complete control of the design, manufacture and supply of component seals so that we can provide our customers the exceptional service they expect from AESSEAL." AES Engineering Ltd, parent to the AESSEAL Group, reported sales of £142m for the year to December 31 2014 with EBITDA (Earnings before taxes) at £25.2m.